This event is now fully booked. We have overbooked to allow for dropouts so will not be holding a waiting list. Coverage of the event will be posted on the website and social media sites following the talk. 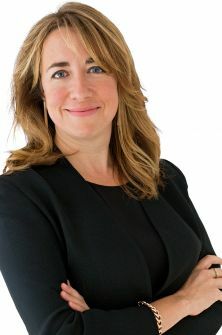 Women in Journalism (WIJ) is delighted to announce that Katharine Viner, editor-in-chief of Guardian News and Media, is the next in our series of interviews with female journalists at the top of their game. One of the few women to have edited a national newspaper and the first to edit the Guardian, Katharine will discuss her career path and the challenges she has faced with Guardian columnist Jane Martinson, who is also Marjorie Deane Professor of Financial Journalism at City University and a former chair of WIJ. There will be a chance for the audience to put their own questions to Katharine, followed by networking drinks. 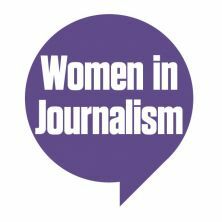 This event is a joint event between WIJ and the Department of Journalism at City, University of London. Founded 25 years ago by pioneering female editor Eve Pollard, we now have a membership of 650 and provide guidance, mentoring and sponsorship for female journalists. We hold frequent high calibre events – recent speakers include the Home Secretary Amber Rudd at the House of Commons, The Duchess of Cornwall at the NED and the Editor of the Today programme, at a seminar about how to succeed held at Bloomberg. We mix these high profile events, with smaller lively discussions – on everything from race to harassment and closing the gender paygap – and we also have a more rolling programme of practical seminars e.g. How to get the best tax deal, or use of new social media platforms. We are all about women supporting women; the most senior females in the media give of their time freely and generously to support those starting out, those coming back after a career break and those who just want to get better at their jobs. We know the power of the old boys network, WIJ is all about creating a strong women’s network; we believe the media is most effective as a tool of our democracy when it represents all the population, not just the male part. Journalism is the first draft of history, we believe it should reflect a female point of view, too. We are particularly proud of our mentoring scheme which pairs senior women with those starting out and has resulted in many junior women getting fantastic jobs. We are also delighted .to produce ground breaking research (most recently we’ve looked at which jobs women hold in the media, and the number of stories written by women). Future projects include those looking at how we might further increase the diversity of journalists; we are particularly concerned by the lack of women of colour and those from working class backgrounds.